Teddy Wilson turned 100 yesterday. I’m a big fan, he was a perfect pianist. The recordings with Billie Holiday alone would class him as one of the greatest. Speaking of harmony, a good friend in Amsterdam has the most astonishing record collection. 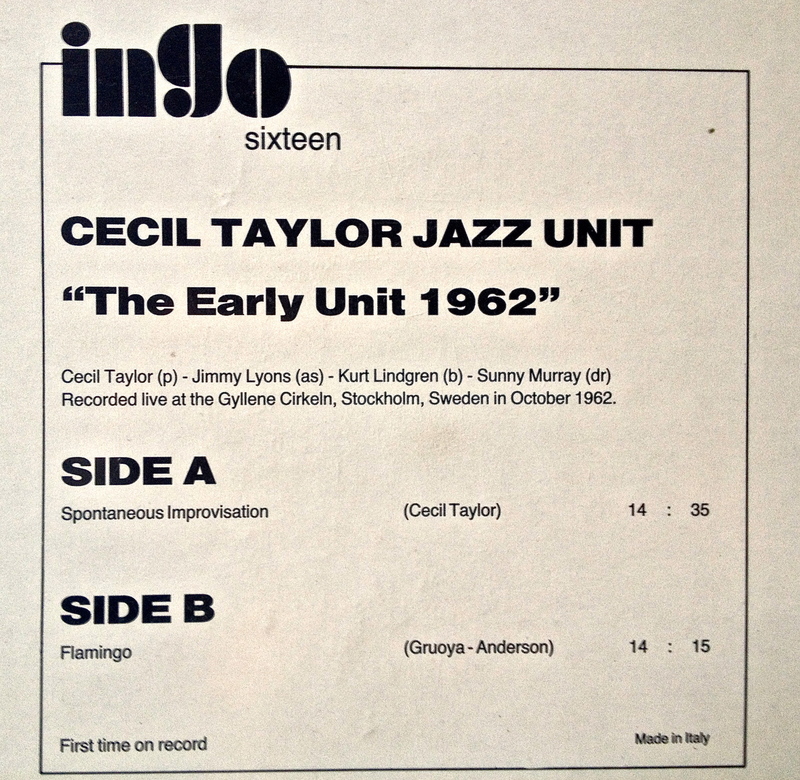 I’d never seen Cecil Taylor’s The Early Unit 1962 before. 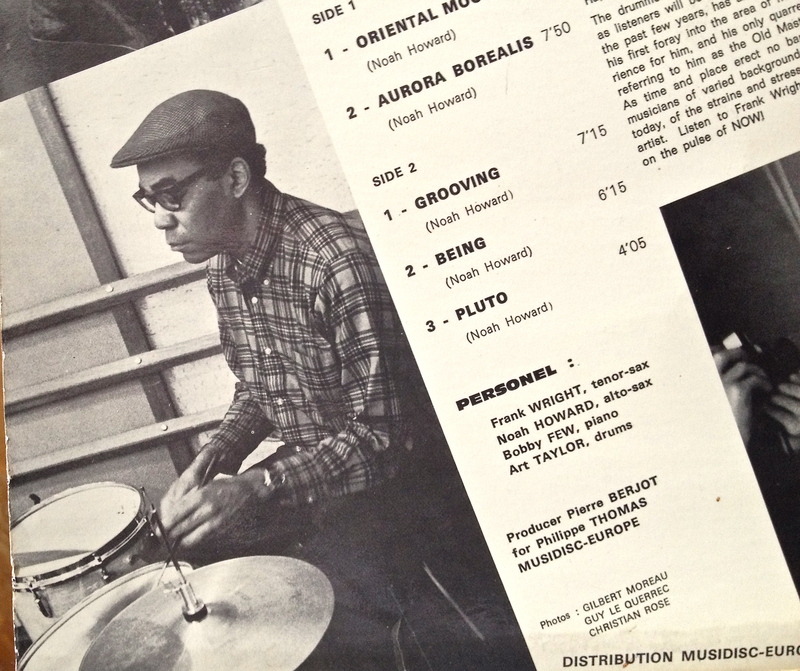 According to the Research Group, Kurt Lindgren only played with the famous trio only for two days. His rather square personality hooks up something really bizarre on “Flamingo,” which is now one of my favorite Cecil tracks. It’s incredibly swinging and more overtly Ellingtonian than usual from CT. (Indeed, Ellington’s arrangement of “Flamingo” may be the reference.) Jimmy Lyons is magnificent. I must find this bootleg. Another rarity: Frank Wright’s Uhura Na Umoja with Noah Howard, Bobby Few, and…Art Taylor! 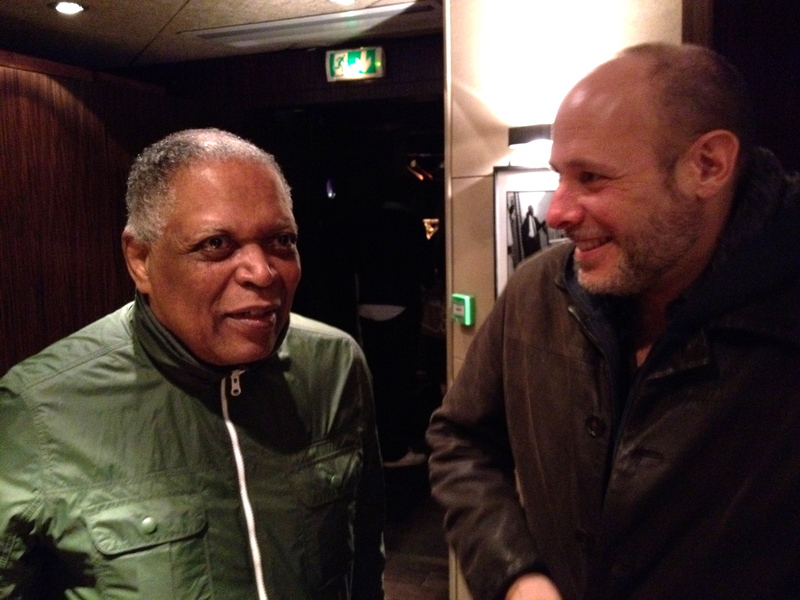 Jabali and Jeff Ballard had a nice moment together at Duc Du Lombards last week.